Yesterday (Tuesday 2 October) The Community Farm launched its £20,000 fundraising campaign #TCFGrowTogether, to help secure their future. 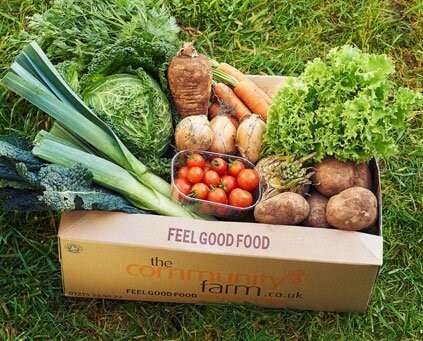 The Community Farm is an organic farm and social enterprise in the heart of the Chew Valley. Profits provide hands-on learning experiences for local children, adults and vulnerable people, through school visits, volunteering opportunities, away days and workshops. They have supported ten people in addiction recovery back into work and helped young people into employment too. The Farm was built from scratch seven years ago, and it is both productive and valued by the community, but they need to update their aging equipment in order to continue making a difference. £20,000 would buy key pieces of kit, including a power harrow, a new cover for a polytunnel, a kitchen for their roundhouse, a fork-lift truck, and a Luton van for veg box deliveries. Here, you can discover more about the campaign by watching a stunning, short film shot on The Farm. There are some brilliant rewards on offer when you donate, including meals at well-known Bristol restaurants, premium skincare products and limited-edition art prints, but be quick, before they get snapped up!